How do you create superior roofing? The main factor in installing a superior roofing revolves around the materials. If you use high quality roofing materials, your result should be superior roofing. Many times the budget constraints may not allow you to do this. However, when possible, you should use the highest grade materials. Slate is considered the highest quality roofing material. It’s ranks top out of the superior roofing materials because of its durability. A slate roof can last 100+ years. There are slate roofs still holding up that date back to the time of Shakespeare. Slate roofs are so durable because they are made of pure rock that is cut into thick slabs. The only caveat with a slate roof is that the deck of the roof has to be strong enough to support it. In Switzerland, the majority of roofs are made of slate. However, they are not that popular in the States because the cost can be prohibitive. Spanish tile ranks second in superior roofing materials. These tile can last a 100+ years. Like slate, there are examples of Spanish tiles that date back more than a century. The Spanish missions in Old California still have Spanish tiles that have stood the test of time over hundreds of years. Wood shake singles are ranked third among superior roofing materials. These shingles are made of thick pieces of wood and can last up to thirty-five to forty years. However, these shingles because they are made of wood, require a great deal of maintenance. 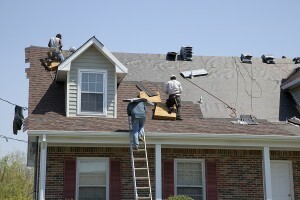 You should make your customers aware of the upkeep required for this type of shingle. Many homeowners do not want to invest the time or money needed for this level of maintenance. Sheet metal ranks fourth among superior roofing materials. Sheet metal because it is made of one of the strongest materials is very durable. Experts estimate that a sheet metal roof can last thirty to fifty years. However, the quality of sheet metal varies with the grade that you use. If that’s steel, know that the higher numbers reflect a lower grade of steel. If you are going to install this type of roofing, beware that you need expertise in this type of roofing and may need training. There are many misconceptions about metal roofs. Many consumers think metal roofs are noisy. However, the solid decking used, the attic insulation and the material used to attach the metal roof to the existing one create a virtually sound proof environment. Many homeowners believe this old wife’s tale that metal roofing is more susceptible to lightening strikes. Metal roofs are not more likely than other roofs to be struck by lightening. Your customers want to have superior roofing. It’s important that you point out the durability of high-end roofing materials. That a roof lasts a lifetime or close to that makes a significant difference in how the cost is perceived. Your higher-end materials will guarantee that kind of longevity. Help your clients to be dollar wise and look at the long term value of a more expensive roof.